Pure Chinese goose are small breed with a graceful appearance. They have compact, short body with a prominent breast. They have long arched slender neck meeting the body at a 45 degree angle. 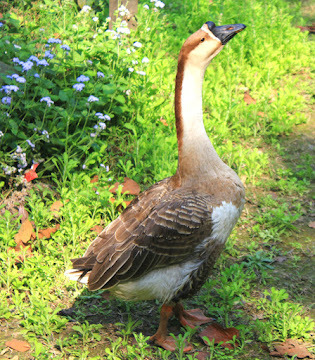 The breed is differ from the wild birds in much larger size.